Many people don’t consider that changing something as large as a phone system is very high on a list of thing that need to be done, but I would like to show you some of the benefits to switching over to a Hosted VoIP Phone System; it will increase your workplace productivity and therefore should increase your annual revenue. Every business could stand to save some money every single month. Take those funds and invest them back into your business! On average VoIP Solutions cost 20-30% less than more traditional solutions, and that is on top of having a lower initial investment required to set up as the upfront cost of hardware is dramatically lower. Since most of the necessary equipment is at your service provider’s location. Company size can change rapidly; whether it is adding employees or letting them go, you contact your service provider and normally have the change made quickly without the need to overhaul the entire system. With this type of functionality you won’t be paying for the extensions of employees who are no longer with the company. As VoIP systems are computer based and digital, they incorporate a many options for configuration. This can allow your business to set up a system that most closely matches your needs an then alter that system as needed. 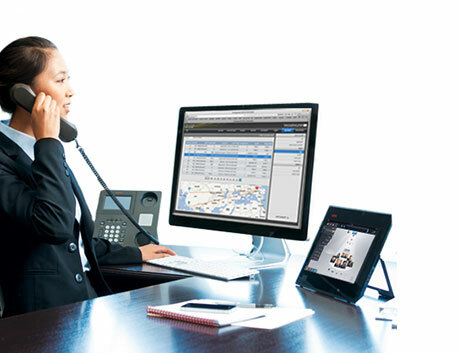 For example IP handsets can be relocated around your office with no need for reconfiguration. The handsets can also be easily set up at remote sites as the line goes back to the provider not “head office”. Re-route missed to calls to a mobile. Automatically divert after hours calls to speak with a live person. Have voicemails delivered to your email or via text message. With advanced analytics you can see how your calls are being handled. See who is available to take phone calls and monitor usage. VoIP technology is integrated into systems that you and your employees are likely to be already using, like the web and mobile devices. Management portals that are customizable to your business’s needs provide an easy to use interface to control all your communication needs. Call forwarding is much easier with integrated features that allow your employees to direct incoming calls to different locations with the click of a button. Employees can access their voicemail from email or have it sent to their mobile phones. With cutting-edge functionality, intuitive features and an enhanced customer support experience, VoIP is suited to the needs of modern business. VoIP systems are flexible enough to respond to the needs and changes of your business, and will improve your business communications and productivity.